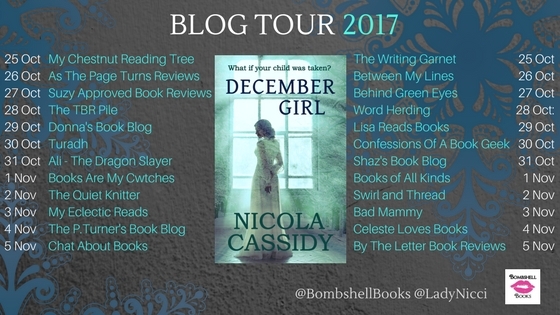 Nicola Cassidy is an Irish writer, blogger and all-round good egg, so when she got in touch with me a few months ago to ask if I'd like to take part in the blog tour for her debut novel, I didn't even have to think about it. I know I enjoy her writing from following her website (www.ladynicci.com) so I had every faith in her novel being brilliant. It didn't disappoint - "December Girl" was one of those books I couldn't put down, one of those ones I carried to the toilet with me (sorry, Nicola). And I'm not just saying this because the press pack came with a little bottle of gin (but believe me, that didn't hurt). 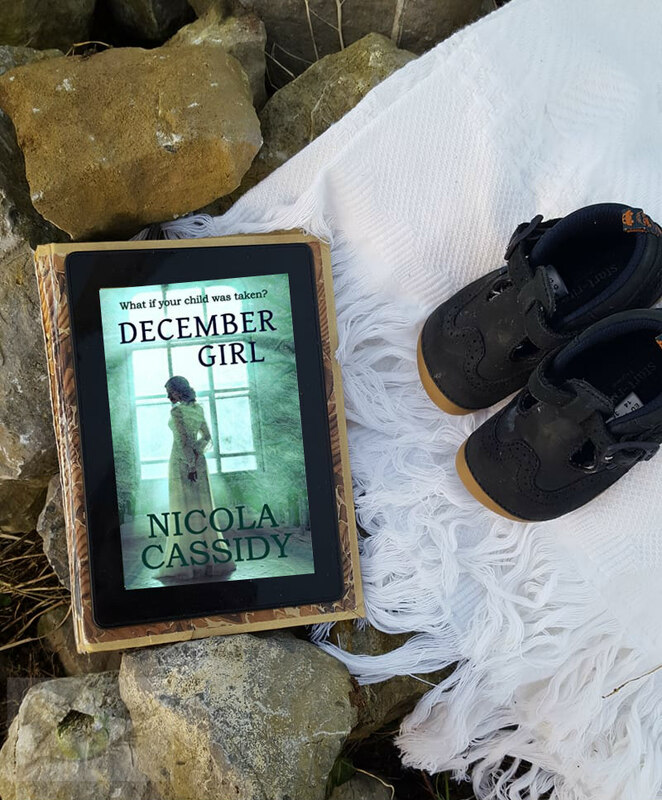 Molly Thomas' world is turned upside down when the jealousy of a neighbour culminates in the arrest of her father, creating a series of tragic events that change Molly's life forever. As she begins to build a life for herself, the unthinkable happens - her baby is kidnapped. Can she ever find her son? And find happiness? Set between Ireland and England in the late 1800s/early 1900s, this is the story of a strong willed young woman and her struggle for survival and justice, revenge and happiness. I don't naturally gravitate towards Historical fiction, and I'm not sure why, because I'm a sucker for anything set in Ireland around this time period. Molly, the feisty young woman born on the December Solstice, was instantly likeable. My heart broke for her during some of her most terrible experiences, and I really wanted her to find happiness. The story is sad (very sad) in parts, and it was difficult to read at times because I felt like I really knew Molly, I felt like she was a real person and couldn't bear to see her going through so much heartache. The plot itself was believable and well paced, I liked the setting and how the book was broken up into parts. I'm a Solstice baby too (the June one) and remember going on a school tour to Knowth, Dowth and Newgrange as a child - this book made me want to go back again, to have a wander round as an adult. Anyone with even a mild interest in Irish heritage should definitely make a point of going - the peacefulness and history came across really well in the book, and it's even stronger in reality. I'd recommend this for anyone who is looking for an engaging character-driven read, for people who like Irish Fiction, Historical Fiction, anyone with an interest in Irish heritage or anyone looking for a heartfelt read about courage, revenge, love and loss. It's not a light read by any means, but it's worth it. 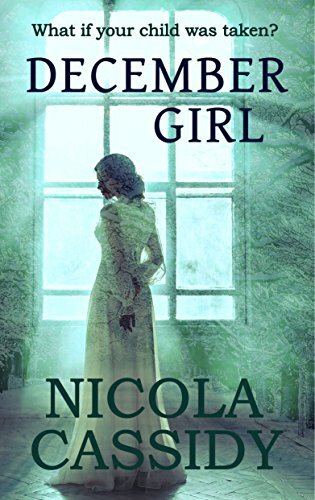 December Girl is currently available wherever books are sold, and on Kindle (a steal at 99p right now).